Children have a fascination with windows and also love to climb. Because infants do not properly understand the threat of an open window, it is a parent’s job to child proof any potential hazards. Examine window areas carefully to make sure that children do not have easy access to furniture that could help them get to a window’s height. Do not rely on window screens to prevent falls: They cannot hold the weight of a child who pushes against them. Secure windows from opening more than four inches, but If you do plan on opening them completely during warm weather, make sure you properly install child safety window guards. 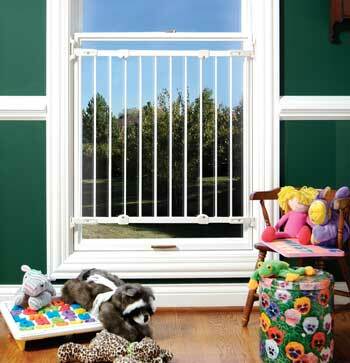 It is extremely important to choose the best window safety device for your home. This decision should not be taken lightly, and it should be based on your child’s age and skill level. Contact your local Baby Safe Homes safety specialist for more information regarding the best window safety device suited for YOUR needs.